The Glover Review team welcomes inputs by individuals as well as organisations. · Dorset deserves National Park recognition for the area’s nationally and internationally important landscapes, World Heritage Coast, wildlife and heritage. · The area needs a National Park to safeguard better and enhance its outstanding environment, heritage, wildlife and natural capital and reverse the decline in biodiversity. · A National Park would work in partnership to help ensure that our environment, communities and economy are thriving, successful, healthy and sustainable. It would be a partner and asset for councils, communities including Portland, voluntary societies, land managers and business. · We encourage the Glover Review Panel to support a Dorset National Park and to ask Natural England to undertake a full assessment at the earliest opportunity. Lulworth Cove to Highcliffe – this section is currently under development and consultation is being carried out with land owners and other interested parties. It is planned that it will be fully open in 2018 although the section between Kimmeridge Bay and Highcliffe may be open earlier. Kingswear to Lyme Regis (approx 68 miles of coastline) – this section is currently under development and consultation is being carried out with landowners and other interested parties. Planned for 2018. Highcliffe to Calshot (approx 56 miles of coastline) – this section is currently under development and consultation is being carried out with landowners and other interested parties. Planned for 2018. 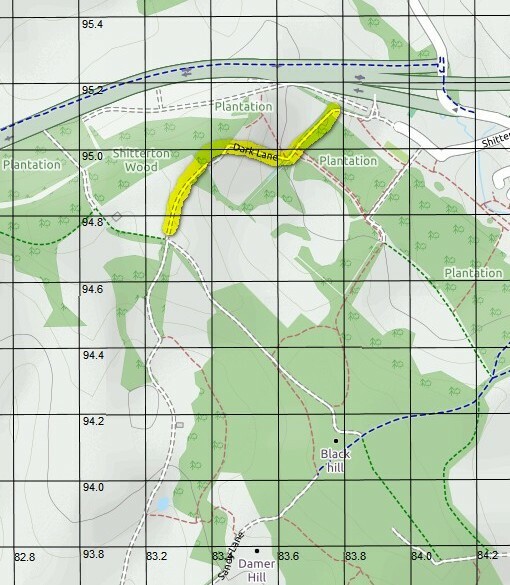 Please remember that the map MUST be signed as well as page 2 of the form.